Includes one of the following CPUs: E5502/ E5503/ E5506. Precision T5500 2nd CPU Riser Board. For Dell Precision T5500. Whether it's a laptop, desktop, LCD, printer or one of our other amazing deals, each piece is coming to you off-lease. ASRock 990FX extreme3 Motherboard . Condition is Used. Shipped with USPS Priority Mail. Pulled from personnel PC during upgrade. Was functioning normal, but is "as-is." Video / TV-Karten. Kabel & Adapter. ASUS Q-CONNECTOR USB - F-Panel. Marke: ASUS. Sound (Audio). Aufrüst Bundle ab. Aufrüst Bundles. The item is tested and works without any problems! EFI Firmware Chip Card for Apple MacBook Pro 13" A1502 Early 2015, 820-4924 EMC 2835. No soldering. Only for EMC 2835, Logic Board: 820-4924. Not sure about EMC number?. - EFI Password Lock. (iCloud, 4 pin, 6 pin lock). EFI Firmware Chip Card for Apple MacBook Pro 13" Mid 2017 A1706, 820-00923 EMC 3163. No soldering. 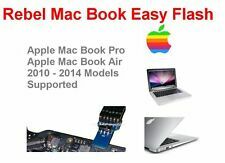 Mac EFI Chip Card forMacBook Pro 13" A1706 Mid 2017 Logic Board: 820-00923 EMC 3163 only. 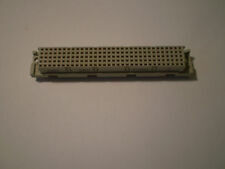 Only for EMC 3163, Logic Board: 820-00923. Condition is Used. ASUS ROG STRIX Z270E GAMING LGA1151 DDR4 DP HDMI DVI M.2 ATX Motherboard with onboard AC Wifi and USB 3.1. Upgraded kids gaming machine to the Dark Side! She now has an AMD system. 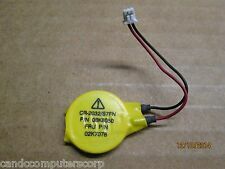 ( FAN CARD CABLE SENSOR & SCREWS). 100% ORIGINAL PART. X99S MPOWER. LGA 2011-v3. SATA 6Gb/s. 10 x SATA 6Gb/s. - M.2 port supports M.2 SATA 6Gb/s module. With MSI CeaseFire Lite it is very easy to disable one of the PCI-E x16 slots with a simple switch in the BIOS. No soldering. Bios EFI Firmware Chip Card for MacBook Pro 15" A1398 Early 2013, 820-3332-AEMC 2673. Only for EMC 2673, Logic Board: 820-3332-A. Not sure about EMC number?. - Mac EFI Password Lock. (iCloud, 4 pin, 6 pin lock). THIS IS 100% ORIGINAL ONE FROM ASUS. EFI Firmware Chip Card for Apple MacBook Pro 15" 2013 A1398, 820- 3662-A, EMC 2674. No soldering. Bios EFI Firmware Chip Card for MacBook Pro 15" A1398 2013, 820-3662-AEMC 2674. Only for EMC 2674, Logic Board: 820-3662-A. Enclosure ColorBlackForm Factor14" Mini 1U chassis support for maximum motherboard size - 12" x 9.5". Expansion Slots Total (Free)1x full-height half-length PCI expansion slot (Riser Card Required). In this case x16 is split into x8x8. These are Prototype PCIe bifurcated Risers for sale. 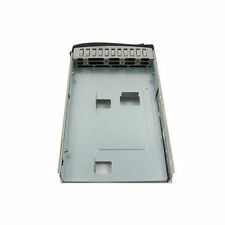 They can be used to connect two PCIe Devices into one slot. (Mini ITX!). These Risers are Prototypes to be used by Professionals in the field of electronics. THIS IS 100% ORIGINAL ONE. THIS IS 100% ORIGINAL ONE FROM ASUS. YOU WILL RECEIVE 1 SET AS PIC. ASUS Q87T/CSM ACCESSORIES ONLY! Motherboard is NOT INCLUDED => SEE LISTING! 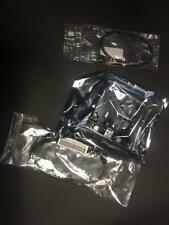 ASUS Q87T/CSM LGA 1150 ACCESSORIES ONLY. Motherboard is NOT included! 2 ASUS Q-Shields:FULL SIZE & HALF-SIZE. ACCESSORIES ONLY Motherboard is NOT included! INCLUDED ACCESSORIES ONLY WHAT'S PICTURED IS INCLUDED => NOTHING ELSE! THIS IS 100% ORIGINAL ONE FROM ASUS. WHAT YOU SEE WHAT YOU GET. RAMPAGE V EDITION 10. Supports AMD® RYZEN Series processors and 7th Gen A-series / Athlon™ Processors for socket AM4. MULTI-GPU: With Steel Armor PCI-E slots. Supports AMD Crossfire™. EZ Debug LED: Easiest way to troubleshoot. Supermicro X8DTE Motherboard. Dual Socket 1366 E-ATX DDR3 SATA2. ATX Aluminum Motherboard Tray w/ standoffs 12"x9.5"x0.090"
9 Brass Standoffs m3x10mm. NOTE: 9 hole pattern is for FULL ATX 12.0"x9.6" specification motherboards. 1st 6 holes for ATX boards less than 9.6" in width. 1 Aluminum Plate 12"x9.5"x 0.090". Aluminum ATX Motherboard Tray. YOU WILL RECEIVE ONLY 1 SET AS PIC. THIS IS 100% ORIGINAL ONE. Manufacturer: NVIDIA. We appreciate your understanding. This is included in our S&H. Combining Orders. back to top. LASTEST FIRMWARE UPDATED : VER 18. THIS IS 100% ORIGINAL ONE. Condition is Used. AMD Opteron 185 Dual core processor. 2GB G.Skill PC-3200 Ram (2x1GB). GeForce GTX570 Graphics card. All of the parts you see here are in working order. (From San Jose California :). • Get it Now! Happy Sales! 3T3R Dual Band 802.11ac Wi-Fi BT 4.0. ASUS Wi-Fi Go! Unused Advantech PCM-3663 PC/104 dual ethernet module. Requires screen (can be found on taobao or here) and new cables which are rather cheap and a new back cover. Amazing upgrade though once done! See Reddit for example of this. Really can make an older Gen1 or Gen2 X1 Yoga shine! 1 SET OF MOUNTING SCREWS. 1X FAN CARD. 1X FAN CABLE. Mini PCI-e to MXM 3.0 riser card for mining with laptop graphics cards. 10 MXM 3.0 slots. mini PCI-e board (over USB). 2x 2-pin fan power output. THIS IS AN ORIGINAL PART WITH 100% GREAT QUALITY AS IT SHOULD. INCLUDES: 1 riser with 64GB of ram installed. Whether it's a laptop, desktop, LCD, printer or one of our other amazing deals, each piece is coming to you off-lease. As such, while the physical condition of the machine may feature small scratches or blemishes, each piece is in good working condition, ready to provide you the best experience possible. Should be used to repair a corrupted EFI firmware BIOS chip. Should be used to unlock EFI firmware BIOS password (It doesn't unlock the OS password). Chip must be soldered on the logic board (requires soldering skills). SCHEDA MADRE MSI B75MA-P45 PER COMPUTER FISSO SOCKET LGA 1155. IN REGALO GIA' MONTATA VENTOLA E DISSIPATORE. - 2 x USB 2.0 connectors. - 1 x USB 3.0 connector. - 4 x USB 2.0 ports. - 2 x USB 3.0 ports. 100% ORIGINAL ONE FROM ASUS. This is a Mini-ITX motherboard. Once you triggered the Unpaid Item Assistant. --------------------------------------Other Information--------------------------------------------------. SOLD AS-IS. NO WARRANTY PROVIDED. 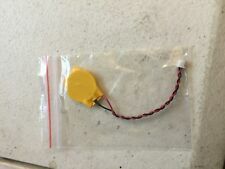 ( FAN CARD CABLE SENSOR & SCREWS). 100% ORIGINAL PART. WORKS GOOD WITH. Z299/X99/Z170/Z270.